We are delighted to share the news that The Unseen by Roy Jacobsen, (translated by Don Bartlett and Don Shaw), has been shortlisted for the Man Booker International Prize 2017. 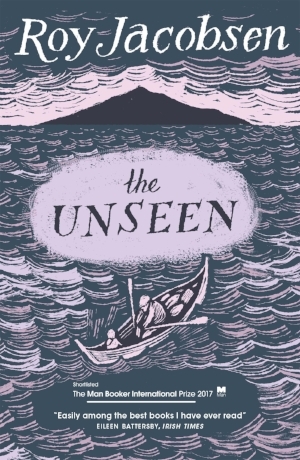 The judges described The Unseen as “a flawless portrait of family life in a remote island setting”, and Eileen Battersby of the Irish Times thought it was Roy Jacobsen’s “finest to date”, and “easily among the best books I have ever read”. You can discover more about the rest of this year’s shortlist here, and if you have yet to immerse yourself in the unforgiving, mesmerising island life of The Unseen, you can dive into the first two chapters here.